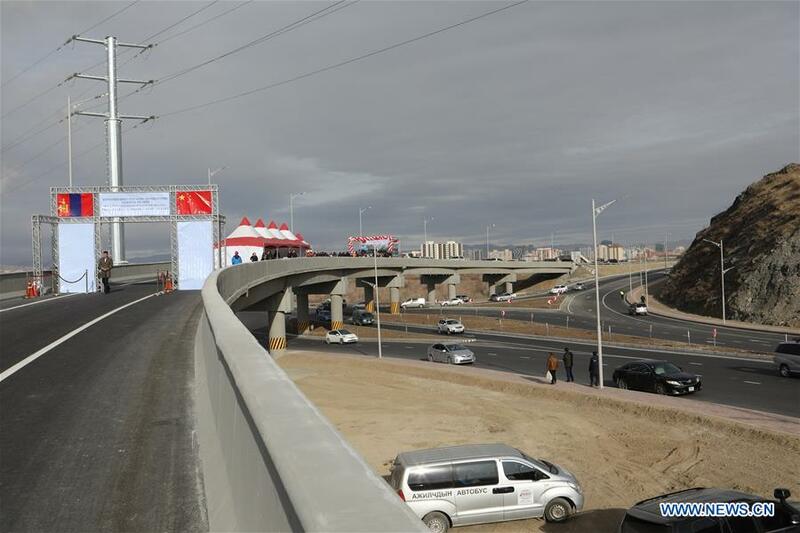 ULAN BATOR, Nov. 2 (Xinhua) -- Mongolia's first three-level interchange, the new Yarmag Overpass built by a Chinese firm, was put into full operation on Friday. With construction of ramp roads and repair work completed, the interchange built by China Railway 20 Bureau Group Co., Ltd officially opened to traffic in the Mongolian capital of Ulan Bator. Senior officials from Mongolia and China, including Ulan Bator's Mayor Sundui Batbold and Charge d'affaires ad interim of the Chinese embassy in Mongolia Yang Qingdong attended the bridge's opening ceremony. "The project is one of the main ones implemented with the Chinese government's soft loans. 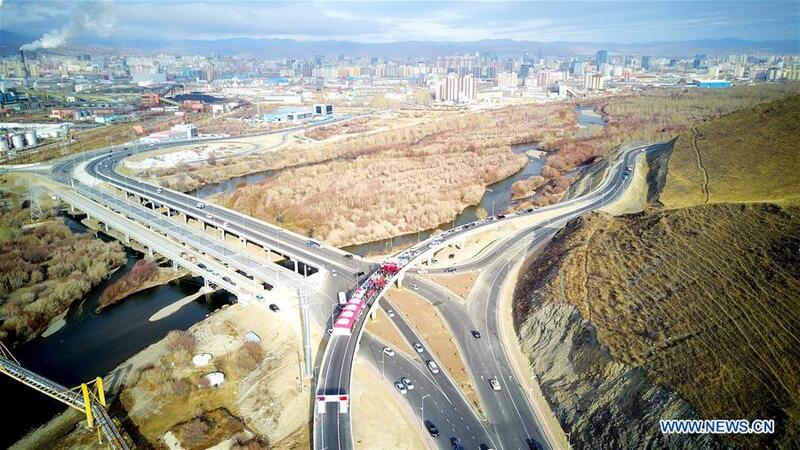 I am confident that the three-level interchange will significantly improve traffic and reduce accidents in Ulan Bator," Batbold said at the opening ceremony. He said that accidents occurred frequently on the old Yarmag Overpass, adding that Ulan Bator had neither built a new bridge nor repaired its old ones over the past 60 years. In response, Yang said that the bridge exemplifies the close bilateral ties between China and Mongolia, which have been expanding continuously in recent years. "The year 2019 marks the 70th anniversary of our diplomatic ties. Several bridges, roads and educational facilities are set to be built with Chinese soft loans and non-refundable assistance," he added. The 4,312-meter three-level interchange is the main route to Chinggis Khaan International Airport and the development zone from downtown Ulan Bator. The project with a total investment of 30.26 million U.S. dollars started construction in April last year.